I think we all miss Obama, Sara. 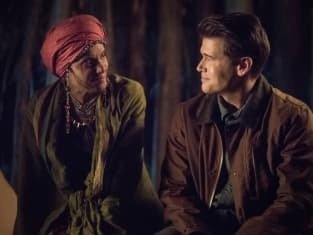 DC's Legends of Tomorrow Season 3 Episode 17 threw in a few political jokes when the team travels back in time to save Barack Obama from being killed by Gorilla Grodd. Meanwhile, Amaya and the Legends contemplate saving Zambesi from destruction. Honestly, Amaya trying to decide whether to escape fate to stay with Nate or leave the team is exhausted, and if there's anything these events proved, it's that Amaya needs to go back to her time like we all know she's destined to. Nate: Someone stole the jump ship! Where’s Amaya? What happened in Zambesi wouldn't have been important enough to focus on if Amaya weren't (eventually) going to leave the Waverider and return to her own time. Staying in the future would just cause Zambesi to be destroyed years prior to 1992. Enough with Amaya and Nate's battle with destiny. Put the couple to rest and allow Amaya to decide whether to stick around the Waverider or not, but, more importantly, the writers need to make her decision. Will she stay or will she go? It'd be more believable, if Amaya were to stay on the Waverider, for her stay to be temporary and her memory to be wiped afterward as she returns to her own time. Like she said, she'll never be able to forget Nate. Whatever her decision, she's already permanently altered time, so it'd be kind of ridiculous for Amaya to stay in the future with Nate and have all of this be wiped away due to her never returning to Zambesi. With the totem story ending, perhaps Amaya's stay on the Waverider should be over. She's altered a major event in her history, so now she doesn't know what happens with her family after 1992, so she could wipe her memory and go back and live a long, full life. That side, the writers in the DCTV universe really don't seem to understand how altering history works. The rest of us? We’re all on ObamaCare. Permalink: The rest of us? We’re all on ObamaCare. 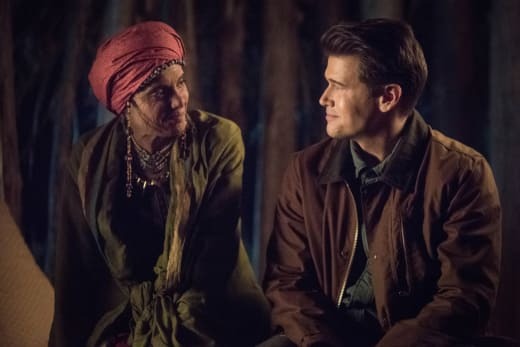 By saving her village, Amaya has changed her family's destiny, meaning Mari won't be Vixen in Detroit (and won't have ever appeared on Arrow as Laurel's friend), and Kuasa won't have died to need to resurrected by Mallus. The future has changed for everyone. As for Ava, this entire clone story really doesn't seem to have a point. Why is Ava special? How is Ava special if she's one of twelve that Rip has recruited to the Time Bureau? It would've made more sense if Ava were the original, but she wasn't even Rip's first choice, she just happened to be another clone that managed to do better than the others and advance at the Bureau. How long has this Ava been in control? Maybe Ava's specialty will come into play with Mallus in the next episode, but, regardless, she doesn't really seem to be necessary. Well, the clone portion of her story doesn't seem to be necessary. The small portion featuring Barack "Barry" Obama is my favorite part, but I have to ask: if they're able to stop an anachronism like this so fast, why aren't the others as easy? Is it because Nate wasn't there to screw it up? Honestly, if the writers said that was their reason for the anachronism being so easily stopped by the Legends, I would believe them. Nate always screws everything up. Barack: Barack is what it says on my birth certificate. Sara: Yeah, you might want to hold onto that. Permalink: Yeah, you might want to hold onto that. With Mallus free, I can say I'm most thankful for the end of another Damien Darhk story. He's awful, isn't he? The choice to stab both Mallus and the Legends in the back at different points of this episode proves how unstable Damien is and showcases why he'll never make a great villain. Damien will never, ever, be a great villain, and the three times they've attempted to do so have failed miserably. A hairless ape who fights with fire? How primitive. Permalink: A hairless ape who fights with fire? How primitive. At the end of the day, it was refreshing to see the Legends be productive and functional for once, and hopefully, they'll be able to keep this up in the future. 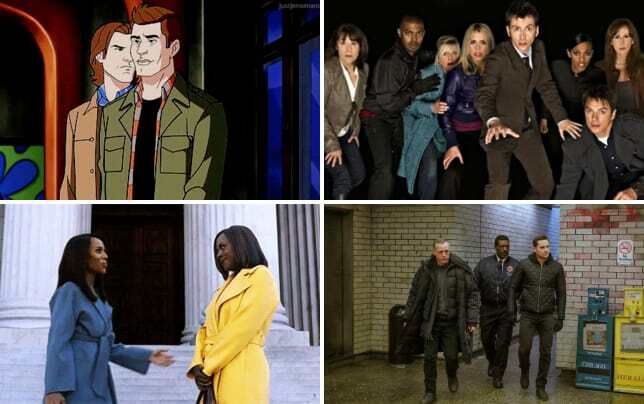 If they really do earn the title of "Legends" on the finale, something drastic must happen, and they must all change a bit once the next season premieres. They're never going to be "Legends" if they make stupid, ridiculous mistakes that could easily be avoided. What did you think of the "Guest Starring John Noble"? Leave your thoughts in the comments below! You can watch DC's Legends of Tomorrow online right here at TV Fanatic! Jay Ruymann was a staff writer for TV Fanatic. He retired in January 2018.